Unprecedented protests in Ingushetia underline a wider dysfunction in Russia's North Caucasus. Amid sensational revelations this week about Russian military intelligence blunders in Europe, an equally dramatic standoff was unfolding within Russia’s own borders. The Republic of Ingushetia, Russia’s smallest province, saw thousands of demonstrators take to the streets in reaction to what could be the territory’s most profound political crisis since its formation in 1992. Security forces closed entrances to the capital, Magas, and fired into the air numerous times. The cause? The proposed transfer of a chunk of the republic’s territory to neighboring Chechnya. 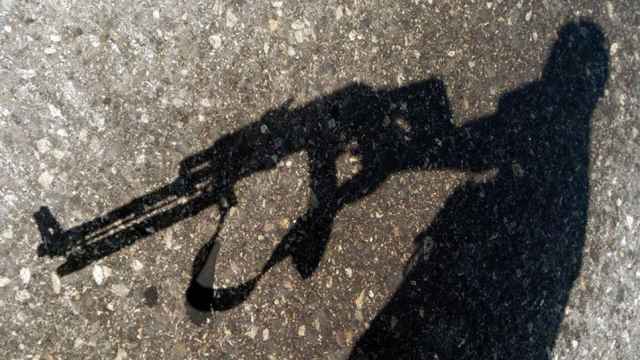 The issue first arose a month ago, when security forces from Chechnya were spotted in eastern Ingushetia, claiming that they were standing on Chechen ground. 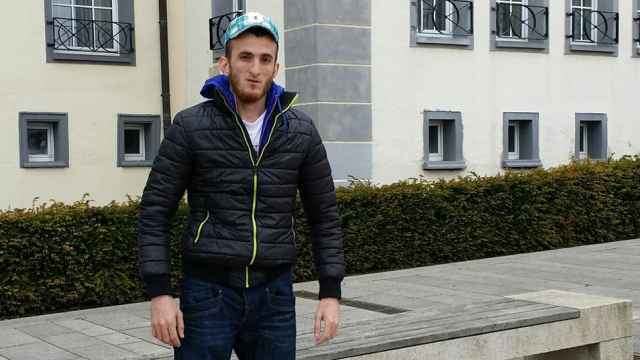 Then, last week, the news suddenly surfaced that Ingushetia’s leader Yunus-Bek Yevkurov and his Chechen counterpart Ramzan Kadyrov had signed a deal to transfer part of Ingushetia to Chechnya. Equal to roughly 20,000 hectares, or 5 percent of Ingushetia’s territory, the agreement was immediately met with demonstrations in Magas. 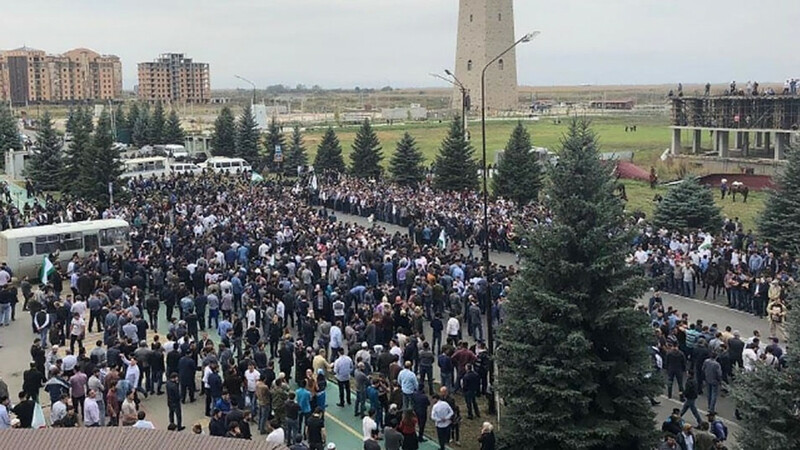 More protests occurred sporadically in the following days until yesterday, when reports of the deal’s ratification by Ingush parliamentarians led to the largest protests yet. Many details of the land transfer are still unclear. Reports from last week’s meeting between Kadyrov and Yevkurov suggest that there will be a mutual swap of equal amounts between the two republics, and some reports say the Ingush will hand over part of their territory in the north, not the east. Official documents released last week are widely believed to be false among the Ingush public. The present border issue has its roots in 1992. In Soviet times, Ingushetia and Chechnya were a single territorial unit, the Chechen-Ingush Autonomous Soviet Socialist Republic. When Chechnya, under then-president Dzhokhar Dudayev, announced its independence as the Soviet Union crumbled in late 1991, Ingushetia decided against joining them. The two were officially split in June 1992; a preliminary border agreement was signed the following year, but the formal line was never fully delineated. 1992 was also a tumultuous year on Ingushetia’s western edge. When the Ingush had been deported en masse to Central Asia by Josef Stalin in 1944 and their republic was abolished, its western part was joined to neighboring North Ossetia. Although the Ingush were allowed to return in 1957 and their republic was restored, the western Prigorodnyi region remained within Ossetia. The Ingush continued to agitate for its return throughout the Soviet period, a process that culminated in a week of bloody clashes between Ingush and Ossetian militias in November 1992, leaving tens of thousands of Ingush displaced. Enduring grievances over this loss of 20 percent of their territory has made the current transfer a highly emotional issue. Yesterday’s demonstration showed the very real volatility of the situation, with locals challenging the security forces. Images circulating on social media showed a map of Ingushetia surrounded by wolves, tearing pieces from its east and west. The entire debacle has underlined some stark realities about not only Ingushetia, but the modern North Caucasus as a whole. Three elements in particular should change if authorities want to improve and defuse the situation. Firstly, Ingushetia’s government must improve communication with the public. Much of the anger has resulted from the entirely closed nature of the transfer process, with no public consultations or even confirmed details, creating an environment ripe for rumors and outrage. This week’s events have shown that civil society demands greater transparency. Secondly, there must be some sort of public outlet for political participation. The North Caucasus possesses one of the most hierarchical political environments in the entire Russian Federation, with governors appointed by Moscow. Without an opportunity to formally influence their government, locals are forced to take to the street in order to make themselves heard, or, as in the past, the forest — the colloquial term for the region’s long-running insurgency). 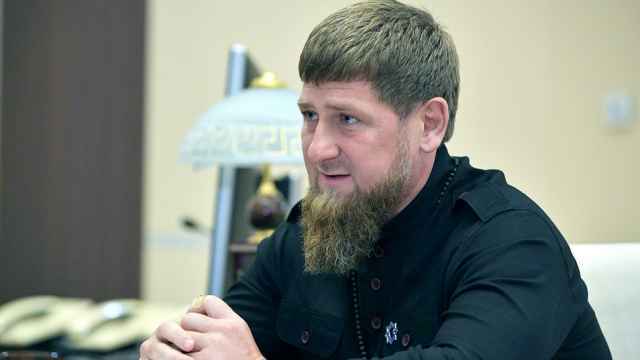 Thirdly, Moscow must rein in Ramzan Kadyrov. 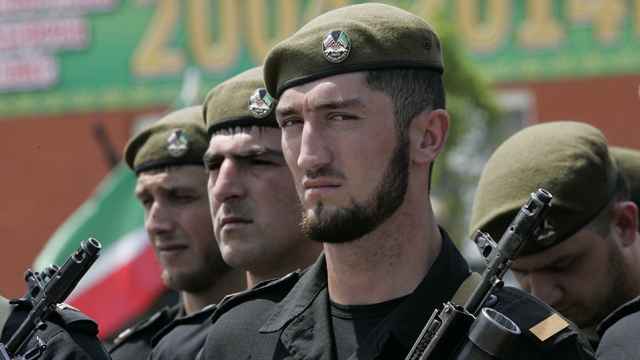 The Chechen leader has long drawn criticism for creating a “state within a state,” where Russian law does not apply and human rights abuses are rife. His more recent actions are even more concerning, pursuing irredentist claims on neighboring republics through the power of his private army. This task falls at the feet of Vladimir Putin, who created Kadyrov and continues to turn a blind eye to his abuses of power. Unfortunately, the history of the North Caucasus tells us that the chances of any of the above are slim. Ingushetia has, however, been blessed with highly-respected leaders in the past, namely its first president Ruslan Aushev, who is roundly praised among his people for his actions during his term in the 1990s. Perhaps Ingushetia will have another round of such luck at some point, but in the immediate future, the outlook is grim. Neil Hauer is an independent security analyst based in Tbilisi, Georgia. His work focuses on Russian activity in Syria and conflict and politics in the Caucasus. The views expressed in opinion pieces do not necessarily reflect the editorial position of The Moscow Times.